I am so honored to have been published on the following sites or magazines: Junebug Weddings, The Knot, Seattle Bride Magazine, Green Wedding Shoes, White Magazine, and Ruffled Weddings. Check out my page here to see the online publications! First off, I want to say that I am so thankful to God for the passions he has placed on my heart. I owe it all to him! My name is Breanna, but you can call me B! I've been shooting for 9 years, and it's been the craziest + most exciting thing! A year ago I married my best friend Kevin, and now we shoot all of our weekend weddings together as a husband and wife team. Your wedding is so important to me, and the relationship with my couples is my favorite part of this job! I want to give you photos that bring you back to all of the emotions on your day, as well as show you parts you may have missed! When people say it goes by quickly, THEY ARE SO RIGHT. When we got called to get ready for our sparkler exit, I couldn’t believe the party was over! You want someone who is good at observing the details of your day, and that my friends is one of my favorite parts. Along with toasts, dancing, first look, dessert, AHH! I just truly do love weddings. I am here to give you a tangible memory of whatever season you are in, whether that be your engagement and wedding, or when you start your adorable little family. I'm honored to capture it all. Seeing my couples start their families is the sweetest thing ever!!! When I'm not taking pictures, Kevin and I spend as much time as we can on the road camping in our teardrop trailer! 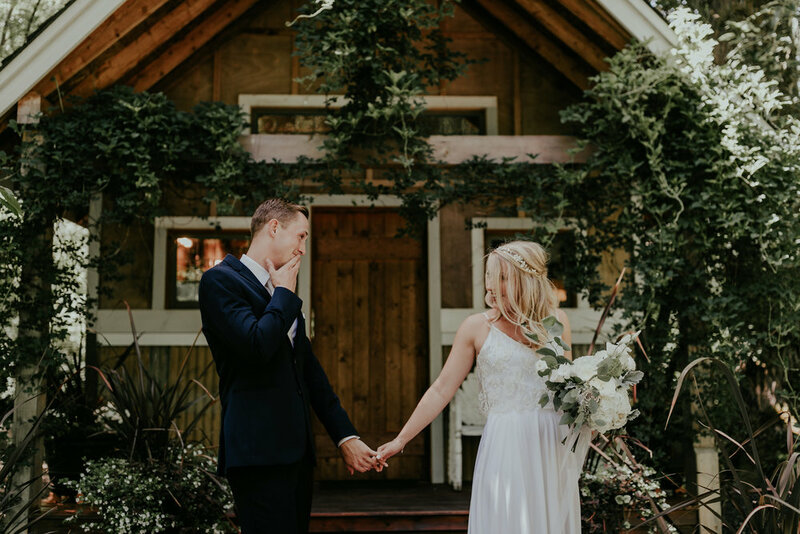 The PNW has so many breathtaking places to explore, and we love finding new locations to take future couples! We also have been spending most of our free time with our new puppy Steve! We just got him in August, and I cannot believe how obsessed we are. Dogs are always, always welcome to come along on photoshoots. A few of my guilty pleasures are re-watching Friends more times than I’d care to admit, game nights with friends- Catan is our FAV, and making fun cocktails… well, mostly just drinking them. Kevin is the true bartender!